At Sancheti Hospital we have a world-class rheumatology clinic with para-clinical back up like Physiotherapy / Occupational Therapy Units and specialized laboratory etc. Most of the patients and even the doctors are not well-versed with this specialty of Rheumatology that deals with chronic inflammatory disorders. We have Rheumatologists that conduct rheumatology and arthritis clinic daily on weekdays. 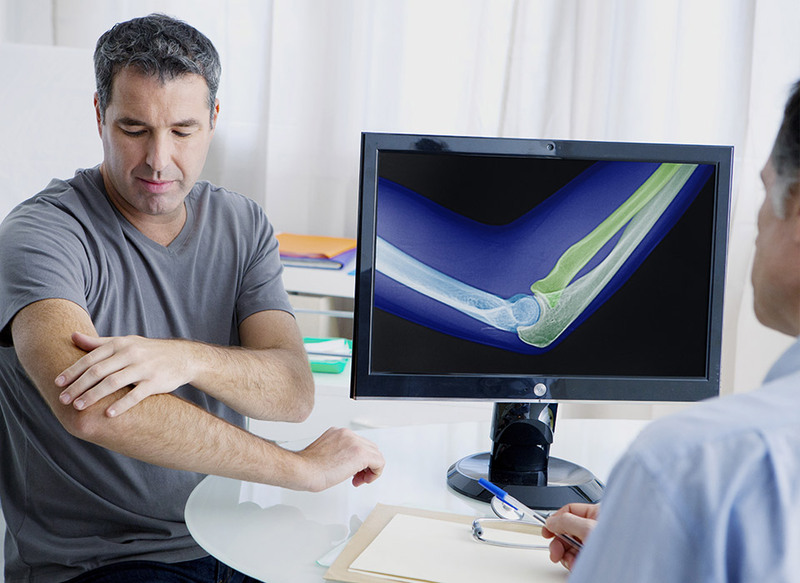 Rheumatology is a study of disorders of connective tissues, joints, muscles and immune system. The word rheumatology is derived from the Greek word rhematismos, of which rheuma means ‘stream’, since arthritis was believed to have resulted from internal flow of humours (body fluids). Based on scrutiny of medical and nonmedical literature, it has been established that Rheumatic diseases like Ankylosing Spondylitis, Gout and Osteoarthritis have existed for several thousand years. Various relevant written sources, pictorial representations and paleopathological findings from Europe, America and Asia support the existence of chronic inflammatory polyarthritis since very early times. ‘Caraka Samhita’, a medical text from India written between 500 BC and 100 AD also included description of chronic polyarthritis. So we can say chronic inflammatory disorders have been there for many centuries though the incidence is now increasing. Rheumatism means pain and inflammation of joints, muscles and ligaments and is a cardinal feature of Rheumatic diseases. A number of diseases like Rheumatoid Arthritis, Ankylosing spondylitis, Reactive arthritis, Psoriatic arthritis, Enteropathic arthritis, Infective arthritis, Gout; Collagen tissue disorders like SLE, Scleroderma, Sjogren’s syndrome, Poly myositis/ Dermatomyositis and various Vasculitis syndromes are few examples of Rheumatic diseases. These diseases, though not curable, can be controlled with good evidence based treatment. The patients with these chronic inflammatory diseases have increased mortality and morbidity as compared to the general population as they are predisposed to Heart and Lung diseases, Stroke, Cancer and Infections. Early diagnosis and optimum treatment is important to prevent complications and deformities and also improve quality of life. Most of the Rheumatic diseases are not curable. However, their activity can be controlled by optimum evidence based use of disease modifying and symptomatic drugs. Some conditions may have a self limiting course. Regular follow ups with assessment of disease and therapy is required. The side effects of the drugs can be mild, moderate or severe. Severe untoward effects like anaphylaxis (severe allergy) and idiosyncratic reactions are rare. Mild-to-moderate side effects like nausea and vomiting, drowsiness, dizziness, dyspepsia (acidity), mild skin rashes can be managed and usually do not require discontinuation of treatment. Regular follow-up visits and investigations help to minimize untoward effects. Are Homeopathy or Ayurvedic treatments effective? Use of alternative medicines may have interactions and unknown adverse effects. There is no scientific basis to prove if they are beneficial in these conditions. What if no treatment is taken for these diseases? Persistent inflammation and disease activity will result in structural damage and functional loss. Further, morbidity and increased mortality can occur due to increased possibility of Heart and Lung diseases, Stroke, Cancer and infections.